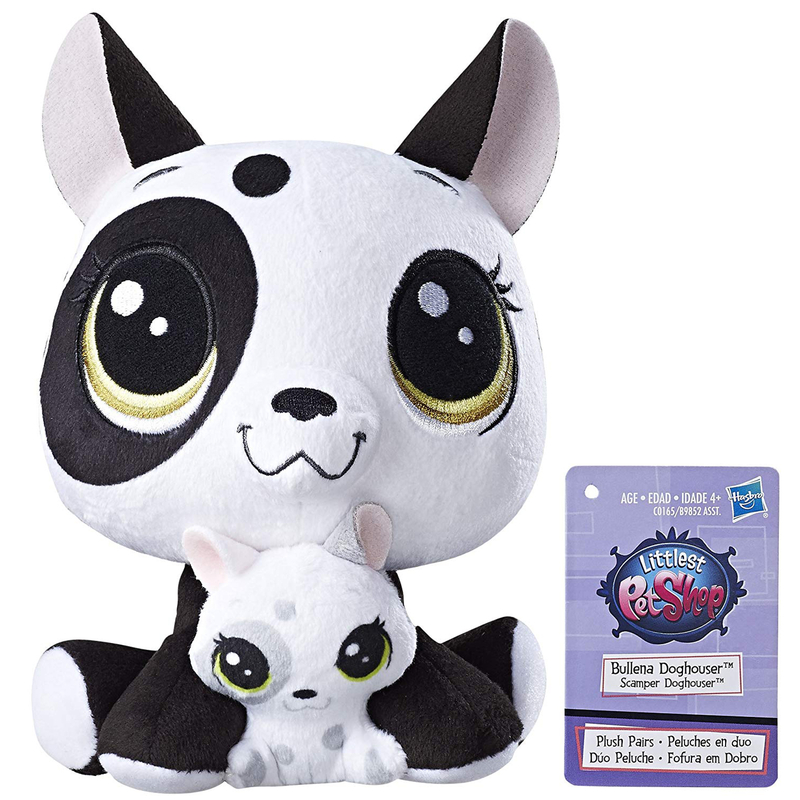 Your child can play out soft shop stories with one of the snuggliest Littlest Pet Shop pets! Bullena Doghouser is an adorable plush pet dog who comes with her baby, Scamper Doghouser, nestled between her cute, furry paws. The baby plush pet can be detached from her mommy with an adult's help to play with them together or separately. Create a pet shop collection with this pair! A young girl named Blythe Baxter moves to a downtown city in an apartment above Littlest Pet Shop. She soon discovers she can understand animals. She goes on some crazy adventures with the pets. Your child can play out soft shop stories with one of the snuggliest Littlest Pet Shop pets! Bullena Doghouser is an adorable plush pet dog who comes with her baby, Scamper Doghouser, nestled between her cute, furry paws. The baby plush pet can be detached from her mommy with an adult's help to play with them together or separately. Create a pet shop collection with this pair! If your plush gets dirty, do not fret! Your little friends are machine washable: Place in a pillowcase and tie the open end closed. Be sure to wash separately and on gentle cycle with cold water, mild detergent, and no bleach then when finished with the washing tumble dry the plush on low. Give this adorable toy to your child a Christmas gift, Hanukkah gift, Kwanzaa gift, party favor, party gift, stocking stuffer, swag bag, conference bag, goodie bag, gift bag, graduation gift, Easter basket, birthday present, Valentine's day present, or baby shower gift. Plushes are also known as plush-toy, plushie, plushness, stuffie, cuddly toy, fluffy toy, soft toy, stuffed toy, plush toys, snuggled animal, stuffies, stuffed animal, or cuddlesome toy. LITTLEST PET SHOP PAIRS - This pair includes mother Bullena Doghouser and her baby Scamper Doghouser. SOFT - The plushies are made from a soft felt material that makes it optimal for cuddling. 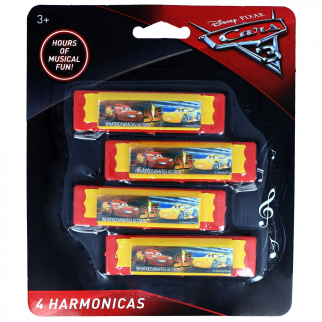 IMAGINATION - Your child's imagination will run wild with this adorable toy! You can imitate Littlest Pet Shop adventures or make up your own. MACHINE WASHABLE - If your plush gets dirty, do not fret! Your little friends are machine washable, simply place in a pillowcase and tie the open end closed before throwing it in the wash.
GREAT GIFT - Give this adorable toy to your child a Christmas gift, Hanukkah gift, Kwanzaa gift, party favor, party gift, stocking stuffer, swag bag, conference bag, goodie bag, gift bag, graduation gift, Easter basket, birthday present, Valentine's day present, or baby shower gift. 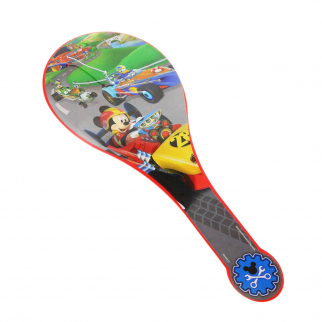 Disney Mickey Mouse Boys Paddle Ball Toy Stocking Stuffer Party Favor Gift $ 6.99	• 30% off! 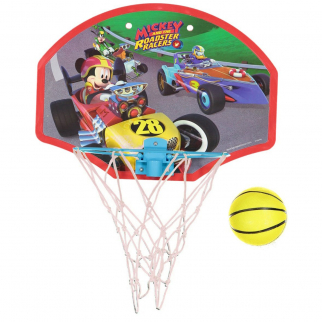 Mickey and the Roadsters Kids Basketball Hoop $ 10.99	• 27% off!